We are now accepting applications for the 2019 UNC Summer Jazz Workshop (Monday-Friday June 17-21, 2019). We have registered 100 students as of April 18, 2019. CLICK HERE TO FILL OUT THE ONLINE APPLICATION FORM. All instrumentalists and singers welcome. As a performer in the Community Summer Jazz Workshop (non-college credit). 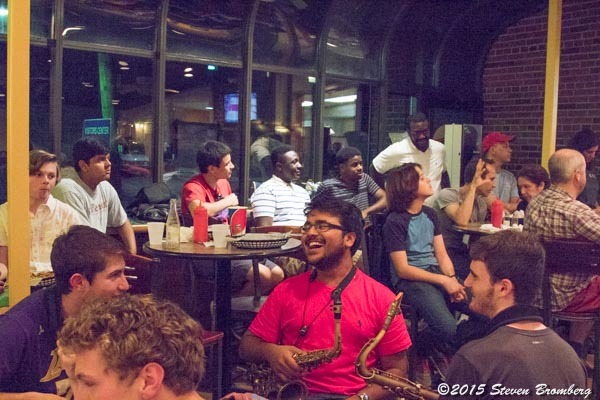 Students in the Community SJW have separate music theory and jazz improvisation courses in the morning and early afternoon, and they join together with the MUSC 364 students to perform in jazz combos and participate in group lessons later in the afternoon. 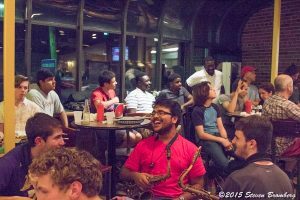 As a performer in the MUSC 364 Summer Jazz Workshop (3.0 college credit hours, satisfying the “Experiential Education” requirement at UNC). This portion of the workshop is available to rising high school seniors, college students, and adults. 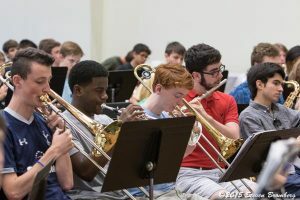 MUSC 364 students study jazz theory and jazz improvisation with Dr. Anderson and Professor Ketch during the morning hours, and they join together with the Community SJW students to perform in jazz combos and participate in group lessons in the afternoon. As a student in the Jazz History/Music Journalism Through Social Media (non-performance track) of MUSC 364. These students will study jazz history and learn basic music skills, as well as music journalism using social media. Students in this track are not required to perform in a combo throughout the week or to perform in the final student concert (3.0 college credit hours, satisfying the “Experiential Education” requirement at UNC). The details of the daily schedule are provided below. Each evening, Monday through Thursday, guest artists and faculty will perform. All concerts are free and open to the public. On Friday from 4:30-7:15pm, the student combos will perform in the final concert. Refreshments are served each afternoon throughout the week in the Kenan Music Building Rehearsal Hall for participants in the workshop.